Water Damage is something that must be dealt with immediately. If your home is undergoing water damage, you need a company that can be available to you and your home as soon as water damage strikes. 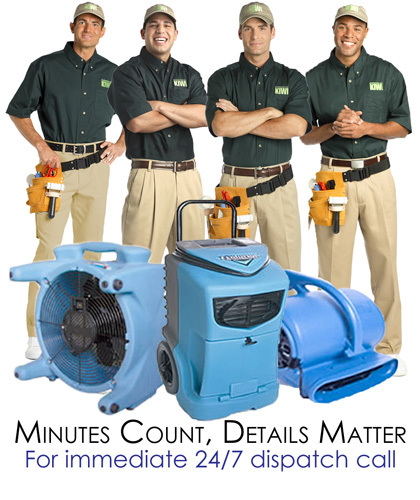 KIWI Services in Arcola offers 24/7 immediate water damage restoration and relief. If you are experiencing water damage, do not hesitate to give KIWI a call right away. KIWI is a company that will make your home look and feel normal after water damage strikes. Our water damage repair team will come out as soon as we receive your call. They are professionally skilled and trained and can provide you with all kind of repairs. We also offer a one-year carpet cleaning warranty for all carpet work done. KIWI will work hard to make sure you are happy with you water damage repair experience. Our technicians will work quickly and effectively to get rid of all water damage. KIWI’s customer service representatives are available to answer any question you may have, and we offer a one-year water damage repair guarantee if you should run into any problems. KIWI is also happy to work with your insurance to cover costs.